Facebook is the biggest social networking site and there is no doubt about that. It has more than 2 Billion active users worldwide and it is increasing every day. They upload status, Pictures, and Videos online to grab Likes, Comment, and Share. Images can be easily saved from Facebook with a right-click but not the Videos. When you browse FB, you won't see any download button to save videos into your PC. From the age group of 13, people love to upload their videos on Facebook. Some parents would love to download Facebook videos uploaded by their children. They love to save those videos for beautiful memories. Your Facebook friends would share or tag awesome videos for other to watch. If you like the video, you may want to pull the video into your PC. Facebook allows saving the video in their profile itself as a bookmark. This limits file sharing of videos from online to offline. i.e sharing video link only is allowed. Live Video sharing is another feature available on Facebook Timeline. It is very helpful to communicate from one country to another. After the Live Video ends, it will be saved in the Facebook server and you could play it on your Timeline. In the end, you need to go to Facebook to look into your own videos. If you're looking for facebook video downloader online, you are at the right place to learn. 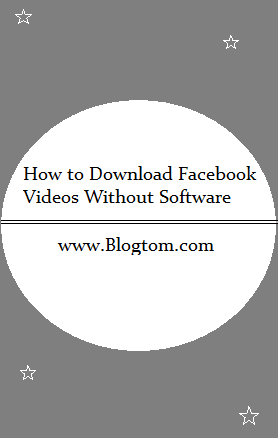 So, without wasting much time, I'm going to explain How to download Facebook Videos without any software. Get ready! In this post, you will see 3 best ways to download Video from Facebook. What are they? Quick Tip: Before exploring the following methods, Like/Share/Comment on your favorite videos or even bookmark the video page (Ctrl+D). It will be easy to access your favorite video any time by checking Activity Log on your Facebook Timeline. Log in to your Facebook account from a web browser. Browse for your favorite video and open it. Right click on the Video and copy the video URL. Another method to copy video URL is by right-clicking the date/time of the published video as shown below in the snapshot. You just need to copy the link address. Paste the copied URL in the empty field. You will be redirected to another page of the same website where you will give two options to download the video. One is Download video in Normal quality and other is Download video in HD quality. If HD quality of Video is available, you're lucky. You need to tap the available Download button. Finally, your video will be saved to your PC. There are some rare cases where the videos on Facebook may not be allowed to download using the URL method. Don't worry! I have another method to override this rare case. Continue to learn the next method. In the previous method, we've discussed FBdown.net website to download Facebook videos. The same website has their own plugin or extension, especially for Google Chrome users. On checking the extension for any other browser, nothing pulled out. It seems that they haven't rolled out the extension for other web browsers. You could get the extension from their website or simply go to Google Chrome Web Store. Search for FBDown Video Downloader. Add the extension to your chrome browser. Once installed the extension, log in to Facebook and browse for any video. Tap on the FB Down extension. 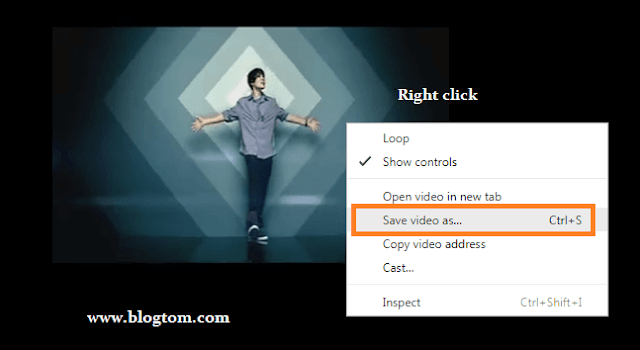 The extension will grab the list of videos appeared on the page with Download option. Tap on the Download button as shown above. You will be redirected to a page where the video has been processed to Download. Click the "Download your Video" button to start downloading. 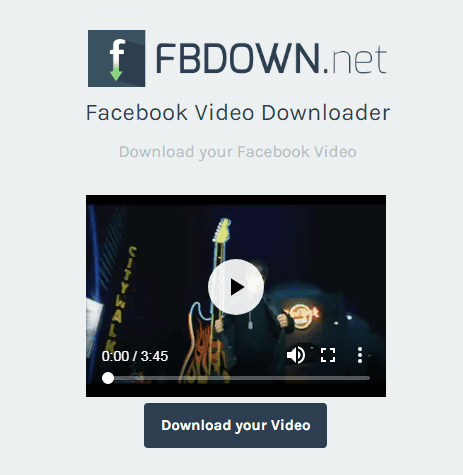 It is one of the best FB Video downloader extensions. Well, I have one more idea. Now you're going to see the 3rd method to download Facebook videos. The third method is all about browsing Facebook from a web browser that looks like a basic mobile browser. Basic Mobile browser mode has limited functionality. It won't give you the best experience as of how you enjoy browsing Facebook on PC web browser. As the name implies, the Basic mobile browser mode is made for mobile phone user experience. It may not look good. So don't expect much from Basic mobile browser mode. If you say, "Why bother about the looks? I need only the Facebook video with original quality to download", go ahead and learn the final trick to download Facebook videos. Copy the Facebook Video URL using the first method mentioned in this post. Paste the URL into the web browser's address bar. Now replace "www" with "mbasic" (without quotation marks). You will get access to Basic mobile browser mode for Facebook. Left click on the Video to play the Video. On the playing video, right-click on it. Alternatively, you could use a Shortcut key Ctrl+S to save or download the video. Windows Explorer will open a dialog box to save the video. 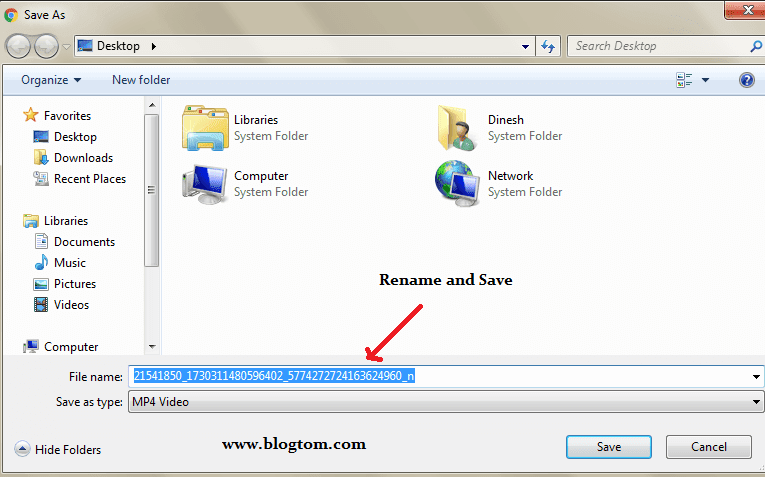 Rename the video and click "save" to download the video to PC. Like how we love to collect our favorite pics, we never get bored of collecting videos too. The tips given in this post are super simple. If you face any issue in downloading Facebook videos by following the above methods or if you come to know any other ways, please let me know in the comments section. I'll be more happy to help you and listen to your words!